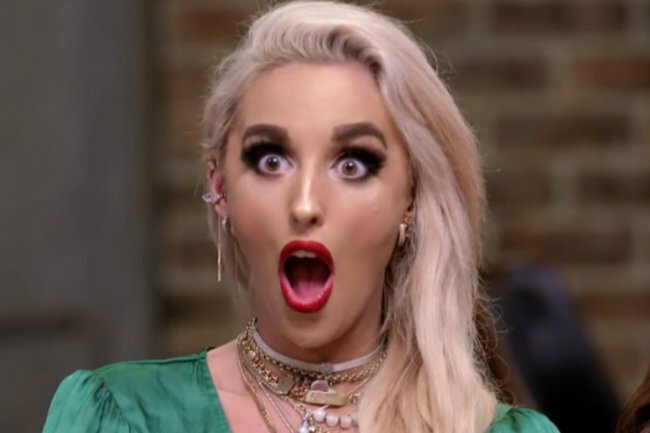 Six biggest rumours from the MAFS finale 2019 and reunion. Just the six biggest rumours about what goes down during the MAFS finale. Spoiler warning: These are just rumours – but they could turn out to be true. Soz. We’re now just days away from the Married at First Sight finale and reunion special – and it looks like we won’t be left disappointed at the end. We’d heard for weeks there would be a “glassing” incident between two brides (see below), but apparently, there will also be a fight among the males. OK! magazine has reported that two men engaged in a “hostile” argument will need to be “physically separated”. After the vow renewals, a "rock-solid" couple are set to surprise everyone by announcing at the reunion party that they have broken up. A source told OK! magazine, "They had their ups and downs, but after the final commitment ceremony everyone assumed it would be smooth sailing." Our money is on Mark and Ning, Martha and Michael or Heidi and Mike - only because the only other couple we consider "rock solid" is Cam and Jules, and that would be just too painful. This one comes straight from the trailer and is less of a rumour as a fact that is being presented to us. The clip shows Cam begin to get down on one knee to propose to Jules during the commitment ceremony. "So, today is about giving you and us the moment that we missed coming into this experiment," the retired cricketer said, referencing their fake wedding ceremony, which obviously didn&apos;t have a proposal before it. Jules can then be heard gasping "Oh my God." The thing we don&apos;t know, of course, is whether she says yes or not. (She just definitely will). The experts are a sensitive bunch who don&apos;t like to be crossed - so we&apos;re not surprised that they&apos;ve decided to wait until the reunion to get their revenge on Jessika for messing with their match-making. From the trailer, we can see that the psychologists are going to sit Jess and Dan down and show them the footage of Jess propositioning Nic, moments before she moved on to Dan at the dinner party all those weeks ago. Judging by Dan&apos;s face, that was a fact Jess had decided not to share with her partner. What this moment also tells us - judging by how close the pair are sitting on the couch - is that they remained a couple... at least up until that moment. Okay - so this is based off one line and one line alone in the trailer, and it&apos;s more of a hope really than anything else. But it looks like Elizabeth has something planned for her ex-husband Sam. With a glint in her eye as she shakes her head, she can be seen telling the camera: "He&apos;s gonna wish he was never born". And we really, really want to know why.